To positively impact communities in Greater Washington by convening the area’s most accomplished influencers and empowering its next generation of changemakers. The Washington Metropolitan region will be a more dynamic and collaborative community with engaged leaders from diverse backgrounds, geographies, sectors and career levels. Leadership isn’t just about making deals. It’s about making change. The Washington, DC region is one of the most complex metropolitan areas in the world. Diverse. Dynamic. And too often, divided. Leadership Greater Washington is the DC area’s premier leadership incubator because we see beyond the divisions that hold our region back, and cultivate progress from common ground. We bring together our most visionary influencers across professions and geographies, uniting them for a shared purpose: taking on the DC region’s toughest problems. We give these leaders the space and structure to learn from each other -- nurturing growth with authenticity, trust, and deep respect. In doing so, we weave widely diverse perspectives into the tightly-knit relationships that drive change. At LGW, even when leaders don’t share the same perspective or background, they always share the same passion to advance our community. Together, we harness great minds for a greater purpose. In 1986, Leadership Greater Washington was established by a group of regional leaders and three leading organizations—Meyer Foundation, Greater Washington Board of Trade, and the Junior League of Washington—to foster communication and cooperation among the area’s established leaders. Modeled after successful leadership programs in metropolitan cities like Atlanta and Philadelphia, the organization began with a focus on developing executive-level leaders through its core program, the Signature Program. After five years of operation, LGW expanded its programming to serve area high school students through its Youth Leadership Greater Washington program. Then in 2014, the Rising Leaders program was launched to provide career building skills and training to mid-level professionals. 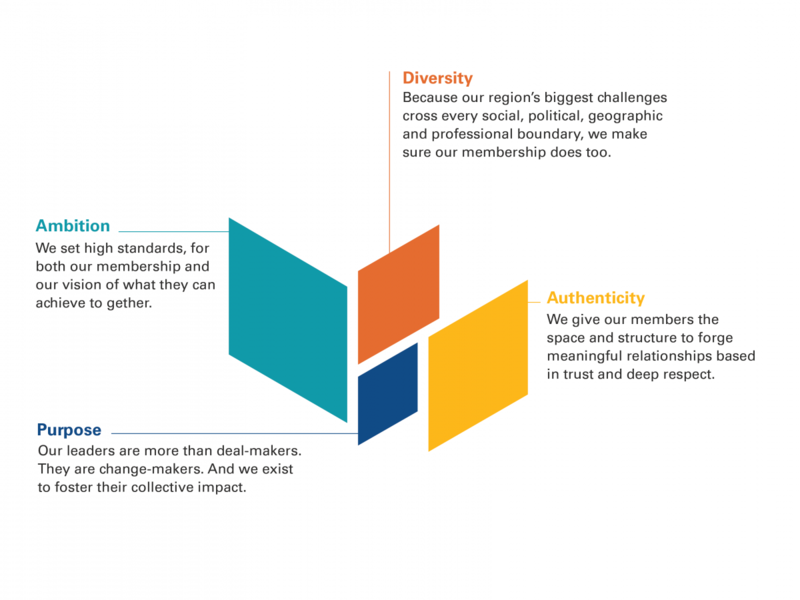 Today, LGW continues to offer unique programming to leaders by way of its three core programs and a number of member events which connect leaders and inspire their collaborative efforts to improve the Greater Washington community. Across its 30-year history, LGW’s impact has fostered the success of more than 1,800 influential leaders, 150 young professionals, and over 1,000 high school students in DC, Virginia, and Maryland. LGW is a 501(c)3 nonprofit organization. Below you will find LGW's financial statements. Active members wishing to receive a copy of the current LGW Bylaws, please contact Member Services Associate, Dani Brockert at dbrockert@lgwdc.org or 202-465-3201.